Is defined as “the awareness that emerges through paying attention on purpose, in the present moment, non-judgmentally, to things as they are, with kindness.” It is a practice whereby you train yourself to cope with life’s difficulties; emotions, health, situations, and loss with more ease, calm, creativity, compassion, and curiosity.  I have developed Mindfulmind through many years of training and experience to offer support through life losses, difficulties and delights and celebrations. I have trained in evidence-based approaches to enhance human potential through the therapeutic use of mindfulness across our lifespan. Mindfulness is the modern way to upgrade our nervous system and primitive brains for a better way of being with life. This in combination with Transactional Analysis- an interpersonal psychology neuroscience, offers a greater understanding of our nature, as well as human nature and make changes to our thinking, behaving and feelings for a more resilient, calmer, curious, open-hearted and happier life. This evidence-based course is a life skill to help us have more stability in our lives and the challenges emotional and physical that are like storms, blowing us of course and uprooting us. These skills help us with choosing how to respond rather than react, be more calm, have greater perspective, self-compassion, creativity, and emotional literacy to name some of the many attitudes, wisdom, and pleasures of practicing mindfulness meditations and movements for work, rest and play. Browse this site for many ways we can be more at ease, safe, calm, peaceful, creative, compassionate, happy and healthy. Mindfulness has been defined by Jon Kabat-Zinn the developer of Mindfulness-based stress reduction over 30 years ago as “Paying attention in a particular way, on purpose, in the present moment, nonjudgmentally and with kindness.” This is definition does not explain the full depth of understanding, knowledge and contentment gained for the practice of mindfulness. Being awake to life.